Swan Song # 7 was originally shown at the Museum of Brisbane from May 2014 to January 2015, as part of the exhibition ‘David Malouf and Friends’. 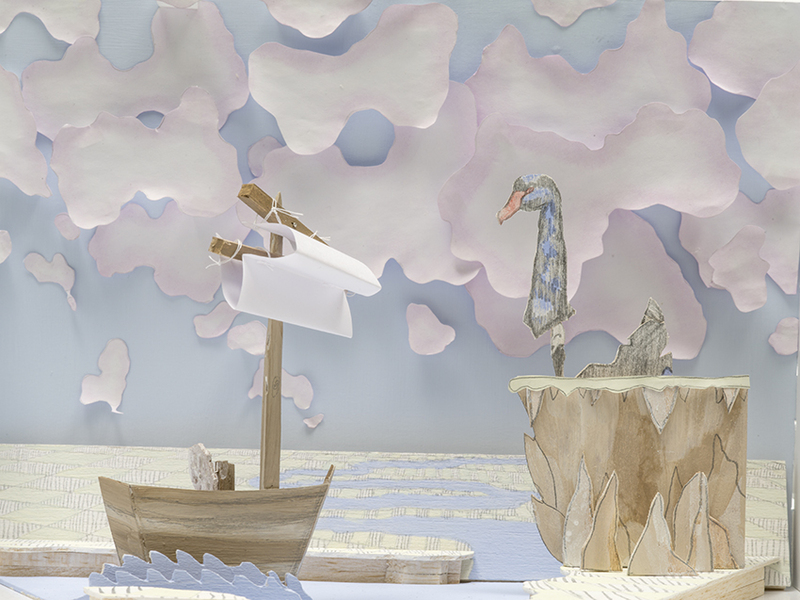 The work reinterprets an earlier watercolour on paper image as a large-scale interactive installation, which responds to the novella, ‘Fly Away Peter’, written by David Malouf. 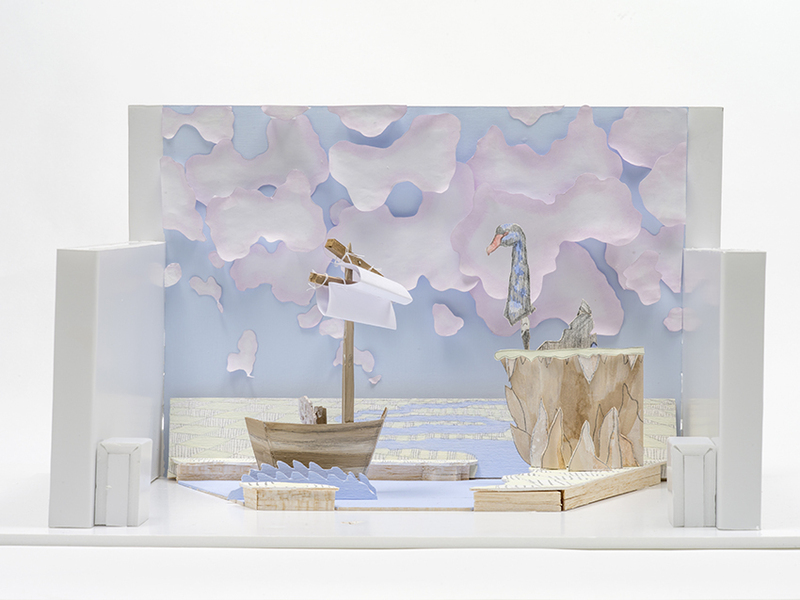 Visitors were given narrative control, able to pose in the set with paper props provided by the artist, folding their own hats and eyeglasses, and choosing between the identity of a Pirate or a Navy Captain. Throughout the exhibition gallery goers were encouraged to share their adventurous snaps on instagram under the hashtag #maloufandfriends. On opening night, as a tribute to Malouf's post-colonial subject matter, a baritone dressed as a cane toad sang excerpts of libretti from ‘Voss’, an Australian Opera written by David Malouf about the explorer Ludwig Leichhardt. Swan Song # 7 is part of The Wonderful Land of Oz series. A large body of work that includes drawings, photographs, a film, an installation and a public artwork, which articulate a critical reading of the Australian landscape. Special thanks to; David Malouf, Tim Aistrope, Daniel Smerdon, Renai Grace, Peter Denham, Alison Ross, Leanne Kelly, Cathy De Silva, Brendan Dahl, Madeleine Hogan and all the Museum of Brisbane staff.